Of three things said, and one not said. Brexit where art thou? In the most famous scene from ‘Downfall‘, Hitler is informed of the failure of Steiner to launch his counterstroke against the Russians advancing on Berlin. 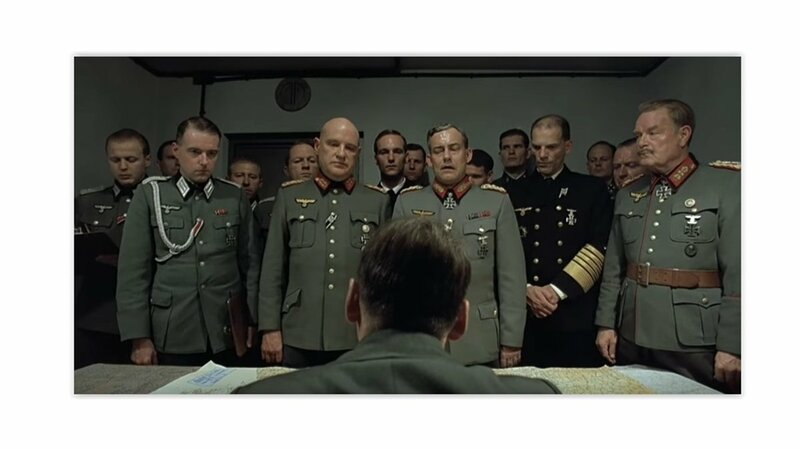 There is a pregnant pause at the beginning of the scene as Hitler, briefed on the Russian breakthroughs counters with “Steiner’s assault will bring it under control”, except Steiner has no manpower to launch the assault and everyone knows this except Hitler. The RUSI Land Warfare Conference felt somewhat akin to this pregnant pause, except the 250lb gorilla in the room that no-one was talking about was BREXIT and not Army Detachment Steiner. Be that as it may, the Land Warfare Conference was excellent on a number of fronts and these are my headline thoughts from the proceedings. How Big is Big Enough? To my mind there was a degree of existential angst evident about the size of the British Army. Perhaps we have over focused on manoeuvre warfare as mitigation for our reducing numbers, and forgotten that warfare also has a very necessary attritional component? There is a sense that we recognize that we are now too small to be sustain significant casualties and therefore to take risk at the operational level; if we are too small, how useful are we? 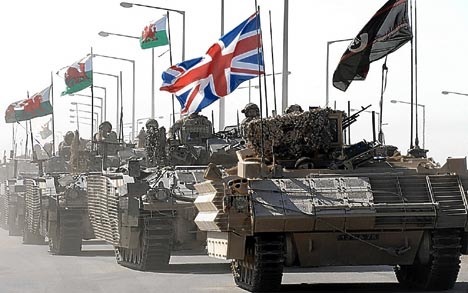 How much attrition can the British Army stand? This is important as the tenor of proceedings was of a drift to Great Power competition and existential struggle; of wars of necessity and not choice. There are ways to offset this. Rapid expansion is unlikely as we do not have the industrial base to support rapid expansion, but the points made by Professor Hugh Durrant-Whyte and Major Kitty McKendrick about the possibilities use of AI to increase autonomy were very well made. Along with talk of autonomy I enjoyed the sense that we need to broaden the aperture of national security and make it everyone’s business to a greater extant than it is at the moment. Of course ‘national security’ and ‘defence’ are not synonymous, but the broadening of the conceptual framework is welcome. The Changing Nature? Linked to this broadening sense of who needs to be involved in the national security business, is a sense that maybe the nature of war is going to change. I am not at all convinced of this, but I did feel that despite all the references at the conference to the impact if technology on warfare, we missed a chance to reflect on how technology is changing society. If the nature of warfare is going to change, then it is because the nature of society has changed (which is why I think a change in the nature of war is unlikely), but we have yet to explore fully how changes being wrought by technology and big data on society will in turn reflect on warfare. Data is the new Oil. I enjoyed Dr Pippa Malmgren on data: “The new oil is data” and “we are now in an era of data power.” Dr Malmgren’s point on the requirement for speedier decision making is long overdue. Quite frankly our planning and decision making processes are no longer fit for purpose, they complicate the complex and increasingly reach decision too late. This is most evident at the operational and strategic levels, but is becoming more apparent at the tactical levels as well. We need to look at how best we adapt staff processes and use AI in order to enable commanders to make effective decisions. All in all it was an excellent conference, with a notably broader and younger audience. The salient points were captured on Twitter (#RUSILWC) and for the British military the sessions are available through the Defence Gateway.